The goal of my project on this Internet of things -course is to design and implement an environmental condition monitoring system for hydroponics. In a hydroponic system plants are grown in a nutrient solution without use of soil. I’ll be working with a platform called Arduino, which is a single board microcontroller and an open source development platform. It provides a way to create devices which interact with the environment, with sensors, for an example. The sensors I’ll be using are based on the Grove system manufactured by Seeedstudio. Its main part is the base shield, which is plugged into the microcontroller. All the sensors are attached to this shield. I plan to include sensors for temperature and humidity of air, ultraviolet intensity, air quality and water temperature. Initial plans were to also measure the pH and electric conductivity of the water, but this part seems a bit problematic at the moment. My system will measure the data points and push them to the web server using HTTP GET. 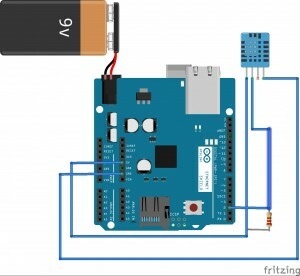 That’s why I plan to use the Arduino Yún board, which has built-in Ethernet and WiFi support. The user interface will visualize the data stream by drawing real time charts of it. UPDATE: My source code is now online on GitHub! 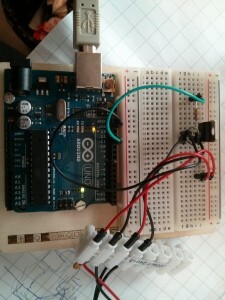 I have proceeded as planned and used an Arduino Yún board with the Grove sensors. The sensors include a temperature and humidity sensor (DHT22), an ultraviolet light sensor (GUVA-S12D), an air quality sensor (TP-401A) and a 1-Wire temperature sensor (DS18B20), which is used for monitoring the water temperature. These are all connected to the Grove base shield, which in turn is connected to Yún, to avoid any unnecessary tinkering. 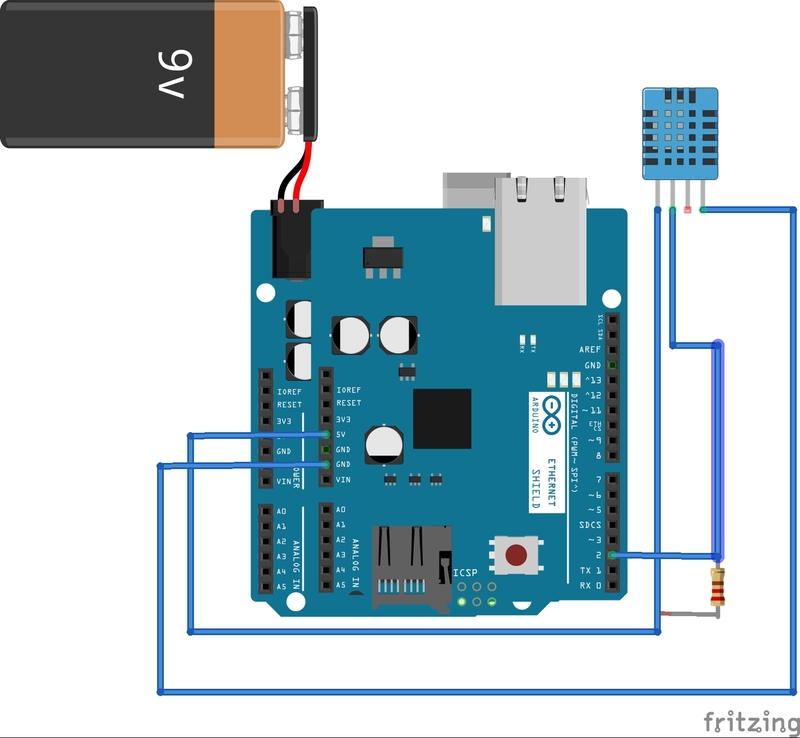 The code for the Arduino includes an instance of a HTTP client, which uses GET to send different data values to the Exactum Greenhouse web page. 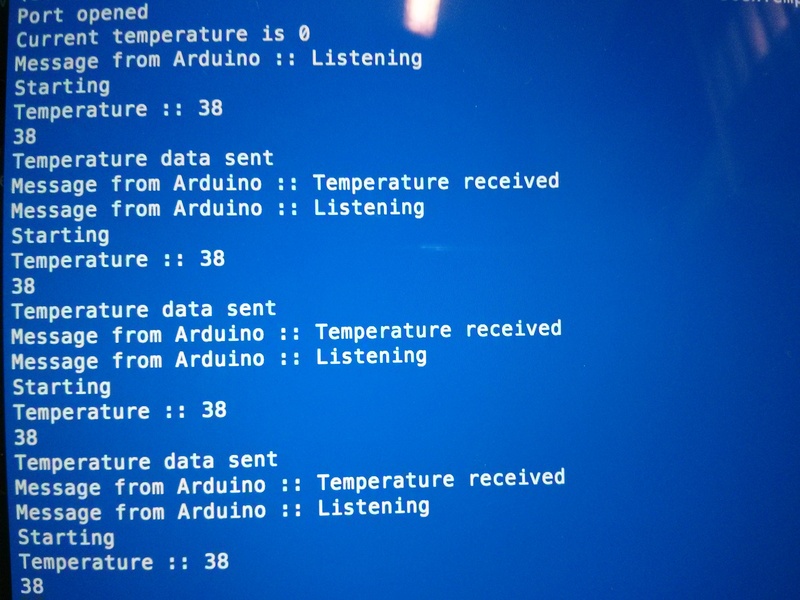 The sensor values are read using corresponding libraries, which are also available on GitHub. The hardest part for me in this project must have been understanding these libraries and how they function. This entry was posted in Yleinen on 21.7.2014 by Andreas J A Niskanen. The greenhouse is a glass container with very little openings. In summer when it is really hot inside, we need to blow cold air. A fan would be the best possible tool for that purpose. Nobody really has time to switch the fan on and off time to time, in the morning and at night, at sudden rise or fall of temperature. Therefore it is required to have a fan that switches on /off and also regulates automatically. 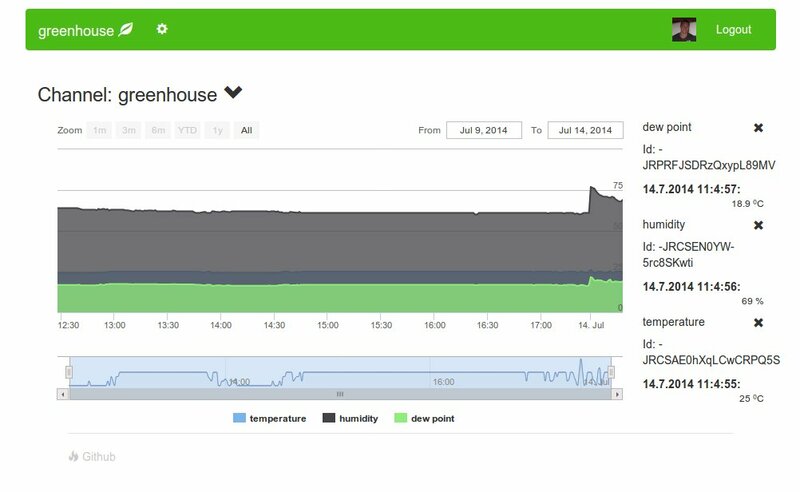 Thanks to the Magical Flower Pot that already has a DS18B20 1-Wire temperature sensor which sends temperature readings to our Firebase database at regular intervals. 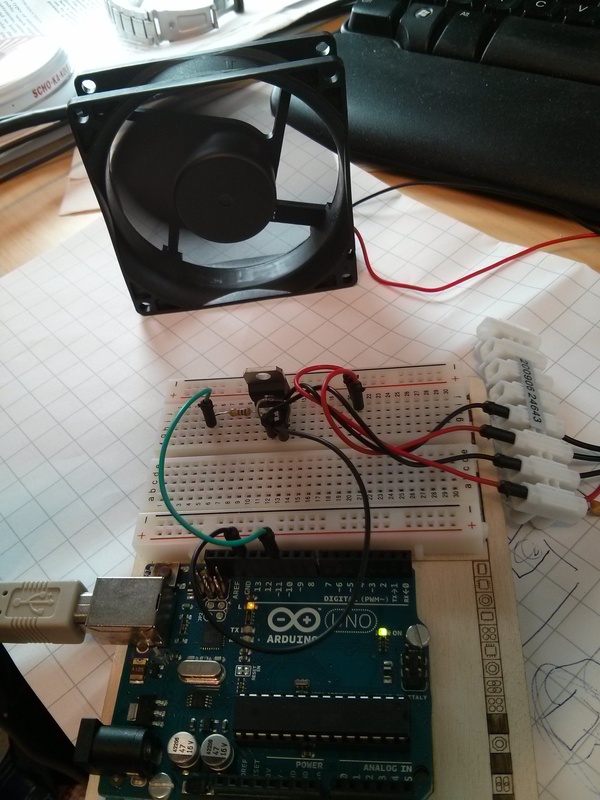 I am reading those values after ten seconds and sending the temperature to Arduino, which controls the fan. When the temperature is below 20 degree centigrade the fan stays off. Above 20 degree centigrade it switches on and regulates upto three levels up. The idea is to install two fans on two opposite side walls of the greenhouse so that air can flow properly. We will connect two fans with the same circuit. There will be a computer with the system which will run the Node Js code to fetch json data from Firebase and send to Arduino. Node js and npm package “serialport” is needed to run this code. 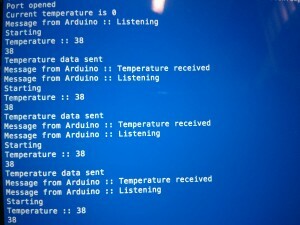 I had a serious problem regarding communication from Arduino and Node Js frontend. 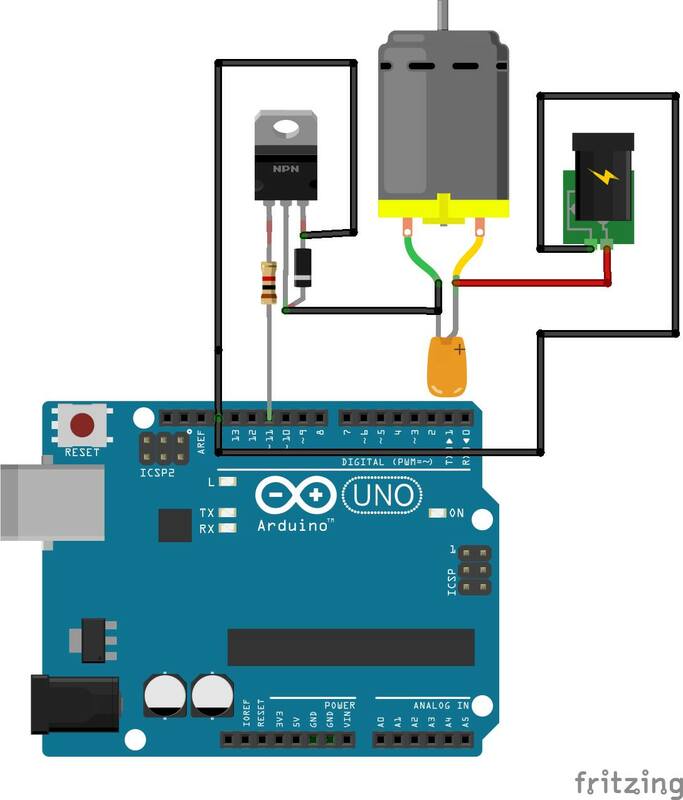 The messages coming from Arduino appeared to be improper and I (with Samu) found out that the transfer is so fast that two subsequent messages were always colliding and spoiling both of them. 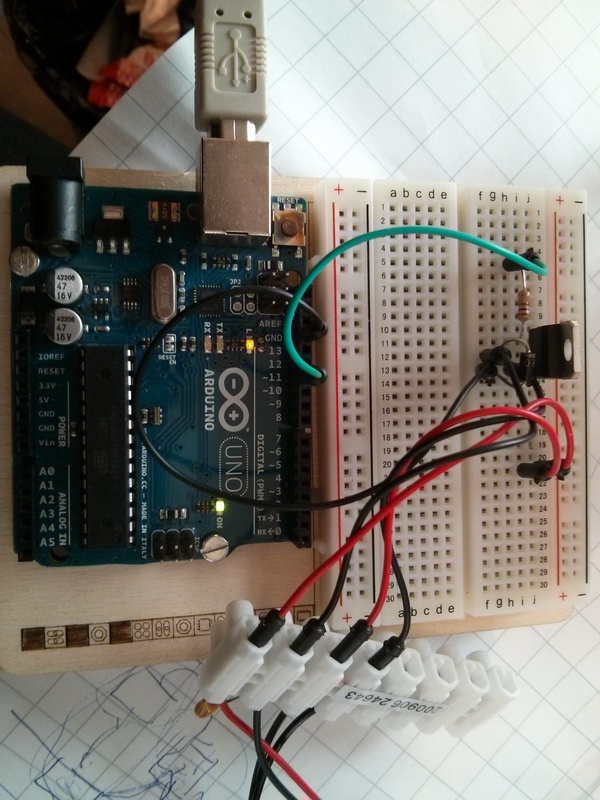 We introduced a small delay from Arduino and that solved the problem. Second thing is initially I made an incorrect circuit and “SUCCESSFULLY” fused the power source. It was a great learning experience and I am looking forward for mode IOT courses in near future. THANK YOU ALL. This entry was posted in Yleinen on 17.7.2014 by .